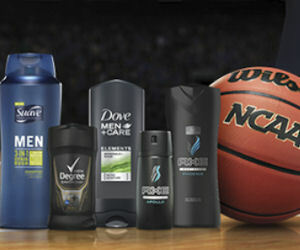 Free Samples of Axe, Dove or Degree for men-This awesome offer is available again! Enter your info into the form here and submit, then you will have the opportunity to choose your samples from choices such as shampoo, antiperspirant and body wash. Allow two weeks for delivery. Free Walmart Welcome Baby Box-Available again! Sign up here (where it says “baby box”)for a free Walmart Welcome Baby Box while supplies last. Allow up to 5 weeks for delivery. Note: this form may not be mobile friendly, so try a desktop computer for best results. Free Paper Shredding at Office Depot- Click here to print your coupon for 5 lbs of free paper shredding at participating Office Depot stores. Offer valid through 4/29/17. Free Sample of Rachael Ray “Dish” Dog Food– This is available again! Complete this form to request your sample. For a limited time only! Free Nioxin Shampoo & Conditioner Samples-Fill in and submit this form to receive your free samples! Offer valid until June 30, 2017 or while supplies last. Free Iced Coffee at Kum & Go- Rewards members can score a free small iced coffee at local Kum & Go locations. No purchase necessary; simply scan your rewards card at the register. Click here to sign up for the rewards program. Offer valid through 5/5/17. Free 2017 National Parks Entrance Days- Reminder: April 22-23rd is the next free weekend for entrance to National Parks! Click here for more info. Free Arktype Magnetic Keychain, Key Organizer & More- Sign up here and start sharing your link with friends for store credit redeemable for keychains and tons of other swag! Offer good through April 26th. Free Sample of Cuties Diaper– The Aeroflow Diaper Club is offering a free sample of Cuties diapers. Simply scroll down, choose your size, and submit your information. Available while supplies last, for a limited time only. Free Comic Books– Right now you can request free Guardians of the Galaxy and Avengers comics from Practical Money Skills! You should hurry because these are in limited supply. Select your comic, add to cart and complete the checkout process. Free Annie’s Mac & Cheese–Kroger and Affiliates can download a coupon for Free Annie’s Mac & Cheese this Friday, April 21st. The coupon is available one day only, but redeemable through 5/7/17. Free Van De Kamp’s English Muffins– If you have a local Ralph’s, you can load an ecoupon for a free 12 oz pack of English Muffics via Ralph’s Facebook page. Coupon expires 4/21/17.